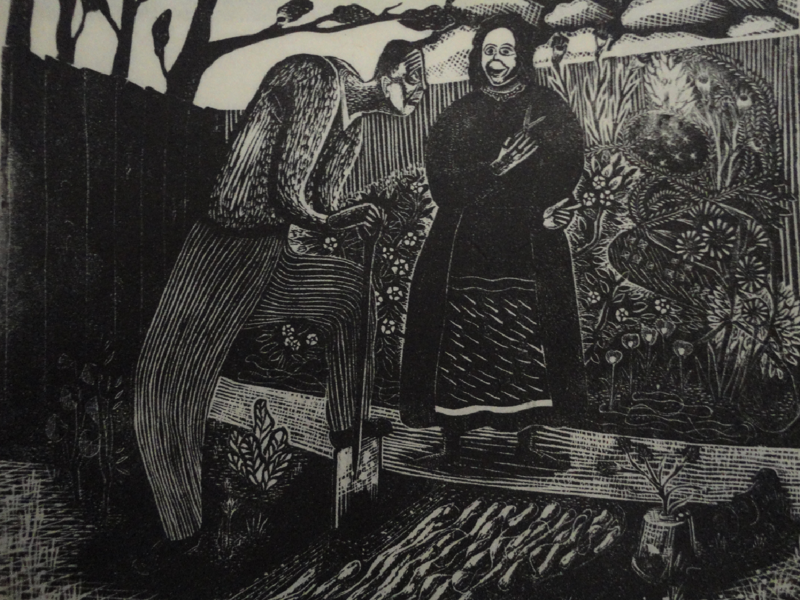 To the left is the print The Gardener which is featured in the book 65 Years of Printmaking, written by the late British artist, Eric James Mellon. This piece was first performed in Dorset but later used to open an exhibition of Eric's work at Chichester's Otter Gallery. Copyright (c) 2016 Richard Nye.